Why don’t you stay just a little bit longer in beautiful North East Wales | News by Wales Express News, People Before Profit! A brand new tourism project aimed at boosting the rural economy by encouraging visitors to one of Wales’s most beautiful regions to make more of their stays has been launched in North East Wales. 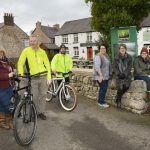 The Clwydian Range Tourism Group have launched their Stay, Eat, Do campaign. Stay, Eat, Do is intended to provide packages combining accommodation, food and activities across the Clwydian Range and Dee Valley Area of Outstanding Natural Beauty, Wales’s largest AONB. 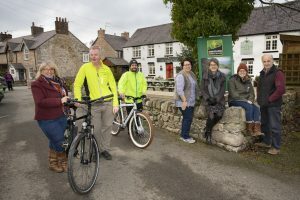 It has been put together by the Clwydian Range Tourism Group following a feasibility study commissioned by rural regeneration agency Cadwyn Clwyd. The newly-appointed Project Co-ordinator Julie Masters said: “We want people to come here, stay longer and experience more of what the region has to offer. “Visitors tend to come for a day or perhaps a weekend but if we can create bespoke itineraries for them involving places to stay, places to eat and things to do then maybe they will extend their stays to a long weekend or even a week. “We have begun to put together those packages as part of a three-year programme and we want to hear from as many of the tourism providers as we can to create memorable, interesting and exciting visitor experiences that combine all three elements. Stay, Eat Do will run until summer 2021 and cost £71,000 with funding from Cadwyn Clwyd and the Clwydian Range and Dee Valley AONB and the support of Denbighshire, Wrexham and Flintshire Councils who are also working with the project. Cadwyn Clwyd’s contribution to the project is funded by The Welsh Government Rural Communities – Rural Development Programme 2014-2020 which is financed by the European Agricultural Fund for Rural Development (EAFRD) and the Welsh Government as part of a six-year plan to revitalise rural communities and their economies. 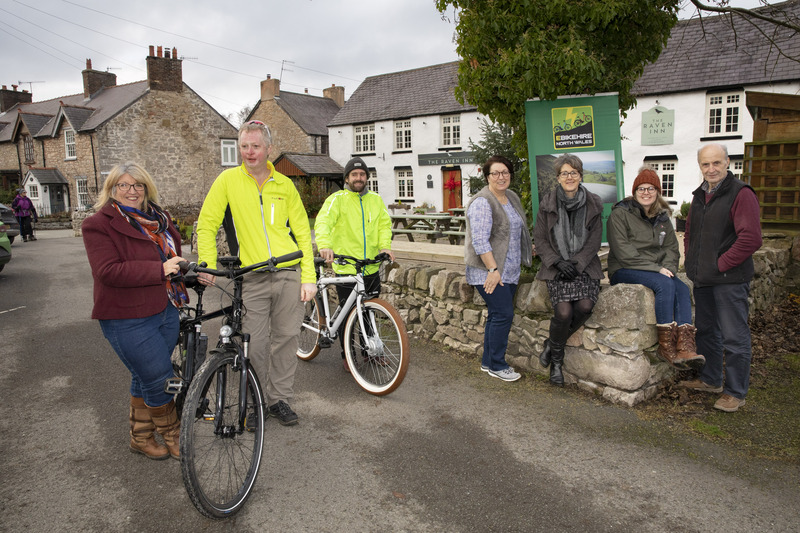 Two tourism providers who are already combining their offer are Richard Haggerty, who hires electric bikes and offers accommodation at Glan Llyn Farmhouse, the guesthouse he and partner Paola run at Maeshafn, near Llanferres, and Carl Percival, of Revolution Cycles in Mold. Richard, originally from Glasgow – Paola is from Bologna in Italy – said: “I think the Project is a great idea, it will help create a business network together and build a better offer to attract visitors to come to the area and stay longer. Carl, who has hand built some of the bikes that Richard hires out, is also keen to become an activity provider, organising regular cycle rides every weekend based around Mold. Julie Masters now wants to hear from more tourism businesses who want to be involved in the project and she added: “People have talked about setting up itineraries to combine the elements of accommodation, food and things to do but no one has actually done it before and now Stay, Eat, Do aims to join those dots up. “We are looking for clusters of businesses that can band together to provide a wide range of holidays for all sorts of visitors, from active families with teenage children to couples or groups of friends who want to do things together. “That could be hiking or cycling or it could be a shared interest in heritage or wildlife or in learning rural skills like hedging or dry stonewalling or experiencing Welsh culture. Cadwyn Clwyd Business Partnership Officer Gwyn Rowlands has helped set up the scheme and he said: “Earlier this year we organised a fact-finding trip to Loop Head on the west coast of Ireland where they operate a similar project very successfully. To date Cadwyn Clwyd has allocated over £5 million on LEADER projects across Denbighshire, Flintshire and Wrexham, liaising with Local Action Groups who have had the final say on funding. Caption: Cadwyn-1 The Clwydian Range Tourism Group have launched their Stay, Eat, Do campaign, pictured, from left, activities providers Carl Percival and Richard Haggerty on their bikes, with Jane Clough, Clwydian Range Tourism Group; Sue Hallows, Raven Inn; Co-ordinator Julie Masters, Ceri Lloyd, Clwydian Range AONB, and Gwyn Rowlands, Cadwyn Clwyd. Cadwyn-2 and 3 The Clwydian Range Tourism Group have launched their Stay, Eat, Do campaign and pictured, from left, are Co-ordinator Julie Masters, activities providers Richard Haggerty and Carl Percival, Sue Hallows, Raven Inn; Jane Clough, Clwydian Range Tourism Group; Ceri Lloyd, Clwydian Range AONB; and Gwyn Rowlands, Cadwyn Clwyd.